I found updates in my Dashboard that WordPress developers have released the first beta of their next major release Wordpress 3.1 beta 1 just to try this update has been under development for a long time now and it is good to see that a beta is now out. bugs and thus in testing mode to find and resolve the bugs, so if you find out any bugs, you can report it to WordPress"
This is software still in development and we don’t recommend that you run it on your normal live site — set up a test site just to play with the new version. If you break it (find a bug), report it, and if you’re a developer, try to help us fix it. However WordPress 3.1 release at large by the end of the year, though that is (as always) subject to change/dependent on how the beta period goes. The more help its gets with testing and fixing bugs, the sooner final version will release. 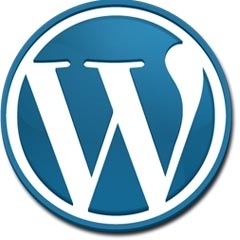 So if you find any bugs you can report to WordPress and for more information on how to report bugs WordPress is an open source and thus if you are a developer then try to find and fix the bugs for better version of WordPress.